Police have made an arrest in connection to a recent robbery. The incident happened at 3:40 a.m. on Friday, August 24 at a Mississauga hotel. The suspect allegedly approached the victim, a 16 year old female from Toronto, produced a handgun, and demanded money. Police attended the scene and arrested the suspect in the hotel’s parking lot. 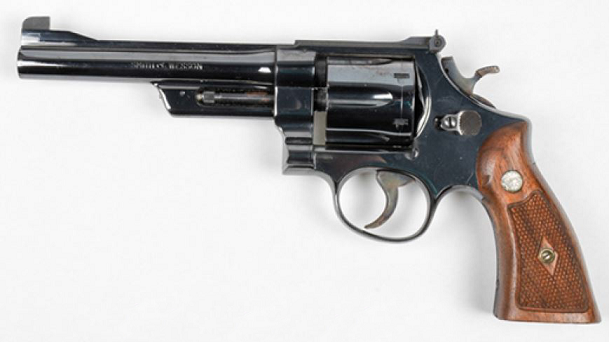 A Smith & Wesson .357 Magnum long barrel revolver was seized, police report. Toronto man Bekele Bedada, 19, is charged with robbery and numerous firearm-related offences. Bedada appeared at court for a bail hearing the same day. Anyone with further information regarding this incident is asked to call police at 905-453-2121, ext. 1233.